Retailers are interested in capturing growing volumes of data to deliver value to their organizations – whether through increased revenue and margin, improved loyalty and consumer intimacy, or back-office optimization of IT processes. As a whole, the Retail and Consumer Packaged Goods industries are realizing that Big Data solutions like Hortonworks Hadoop can provide business value, reduce cost, and improve consumer insight. 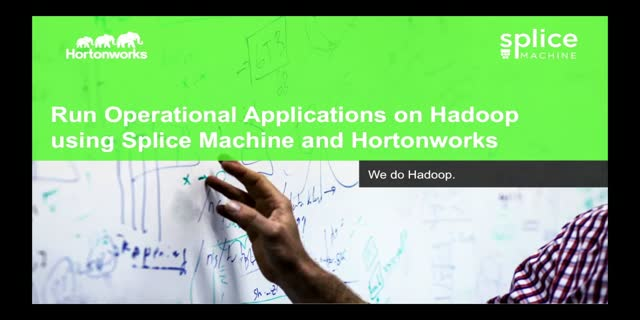 Join our speakers Eric Thorsen and Krishnan Parasuraman and learn how Hortonworks and Splice Machine can be leveraged to support Systems of Record and the growing field of big data and Hadoop.